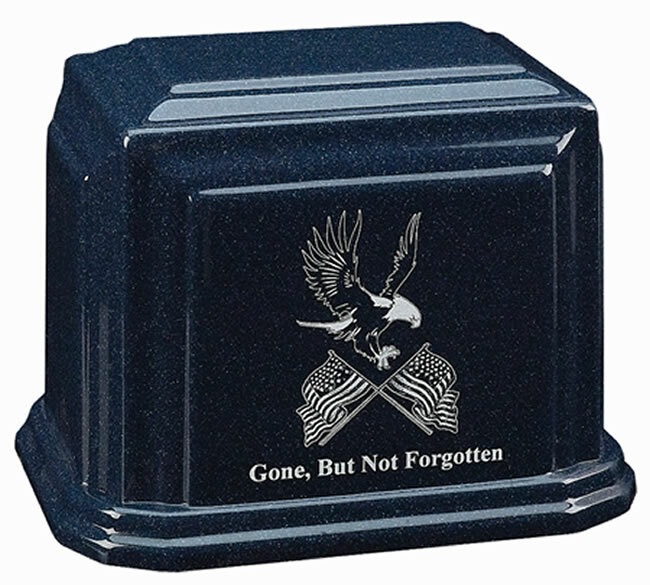 Our Eagle and Flags Cultured Granite Urn is a fitting tribute to the person who served his country in the military or for any patriotic American. The urn is embellished with an eagle and two flags. Click on the tab titled Detailed Images to see a larger photo of the urn. Shown with Sapphire colored urn and White engraving color. 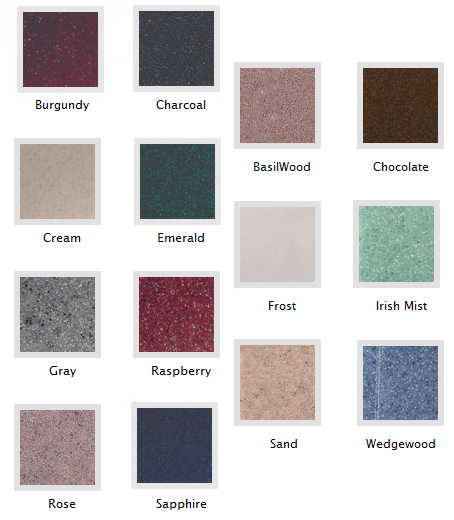 The urn is available in fourteen colors and four engraving font colors. The words Gone, But Not Forgotten can be substituted with another short phrase or military motto. Your loved one's name, birth and passing dates, and a short endearment can be engraved on the top of the urn or the back of the urn. This urn can be displayed in the home, placed in a columbarium niche, or used as a burial urn. Bottom opening with a threaded stopper. Please limit engraving to no more than 30-33 letters/numbers/spaces/punctuation per line. Please select whether you want the Engraving Location to be on the TOP of the urn or the BACK of the urn. Note: Please allow 2-3 business days for engraving before item ships. Expedited orders still require 1-2 days for engraving prior to shipping. You will be emailed an engraving proof which must be approved before your urn can be engraved and shipped. Please be sure to include a correct email address and phone number on your order so we can contact you.